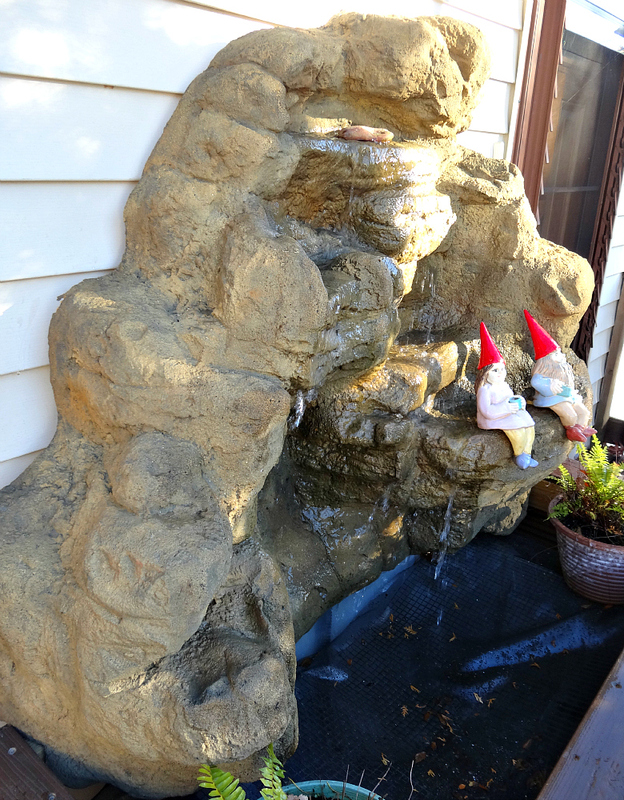 One of the most impressive things about artificial waterfalls is the countless possibilities for the home's landscape. 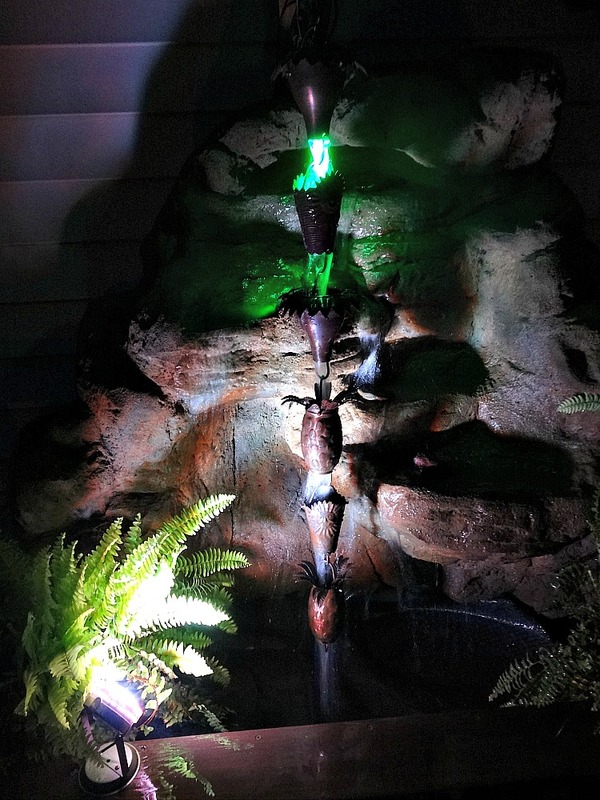 Here at Everything Waterfalls, one of my personal favorites is the vertical rock waterfalls that we have in our outdoor showroom of waterfalls. The MW-005 is a medium size waterfalls that's about 46" high and close to 56" long. One major difference from our other gorgeous waterfall designs it's completely unfinished on the backside. With its width of 16" a structure such as a side of a house, lattice boards or fence will be needed for a secure mounting. 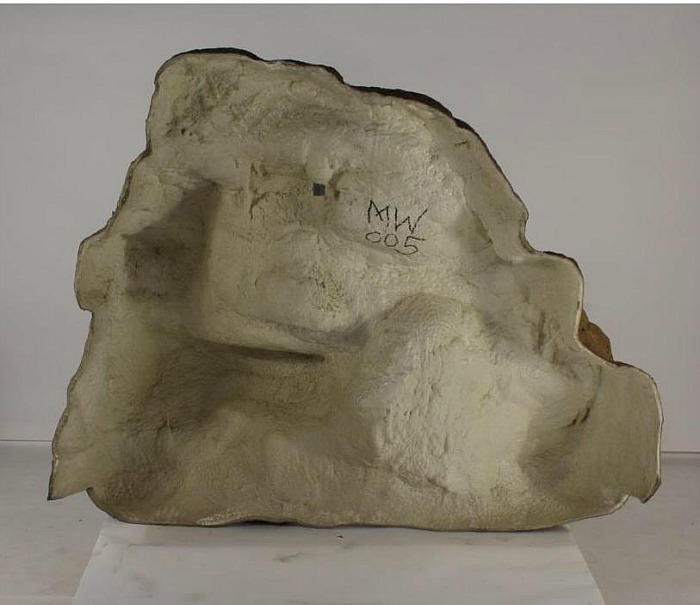 Here in our ultimate show case of Universal Rocks we constructed a mounting bracket off a decorative basin so that we can show you something a little different than a pond. 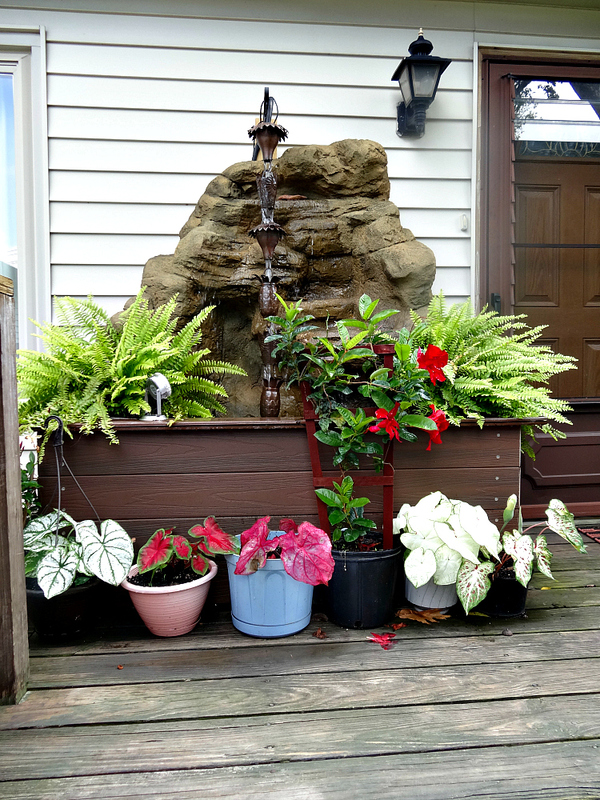 When it comes to the garden, patio and pool, our backyard waterfalls, so realistic are very impressive for many creative landscaping ideas. 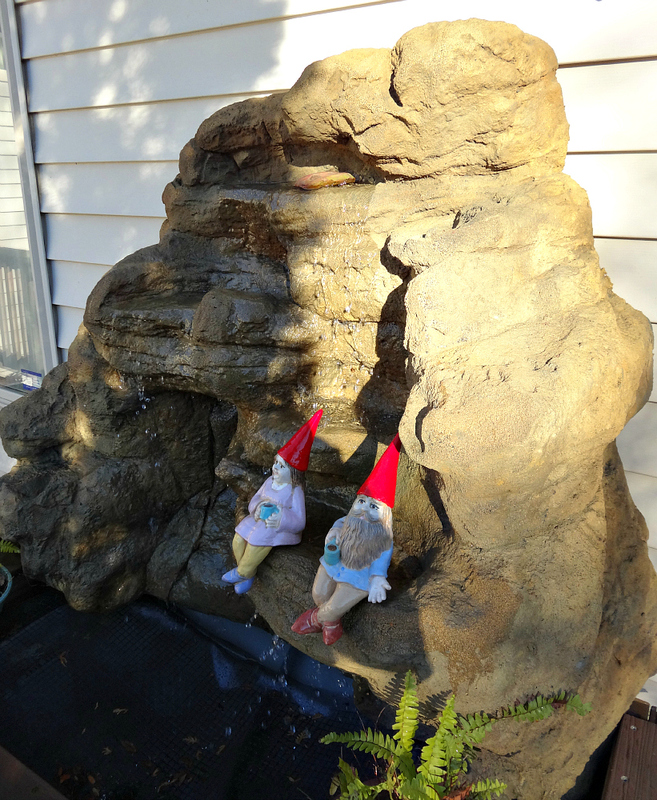 Our landscaping waterfalls are cast from real rock formations showing off nature's beauty and amazing rock detail from many years of weathering and erosion sculpting. This fascinating way to capture nature's artwork through the eyes of a beautiful waterfalls for your very own landscape creation. 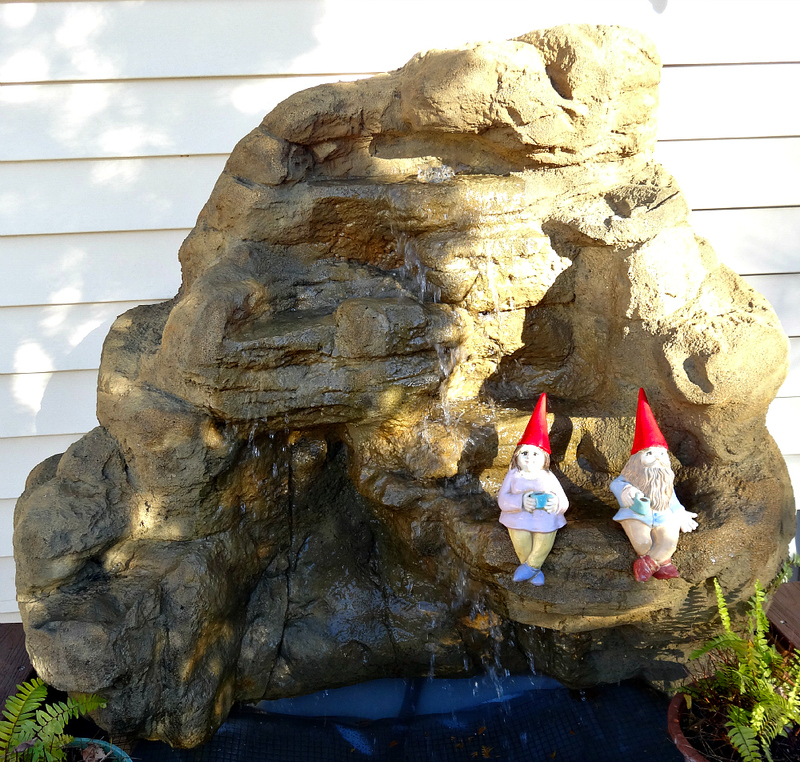 This garden waterfalls only weighs a mere 37 pounds while real rocks could be estimated at about 3,013 pounds. 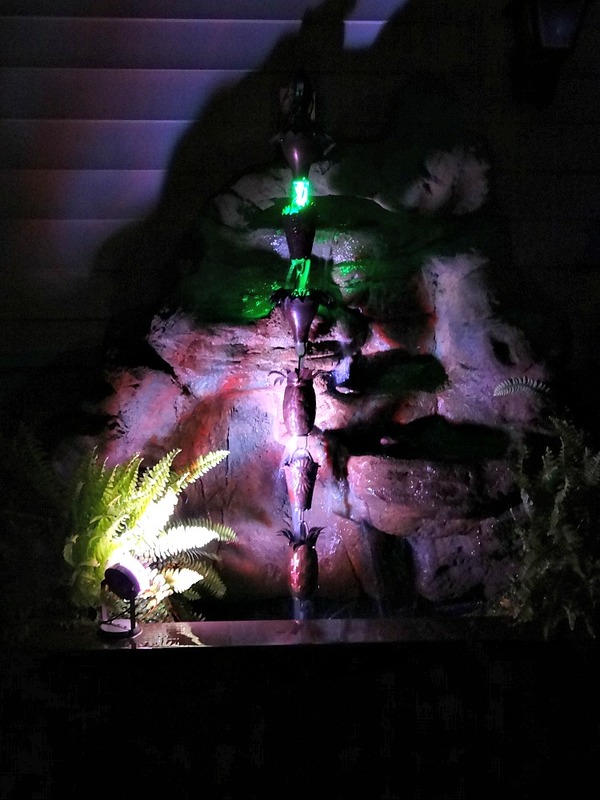 These custom waterfalls are fabricated from a custom blend of polymers for excellent strength properties and lightweight characteristics for the ultimate outdoor waterfalls. 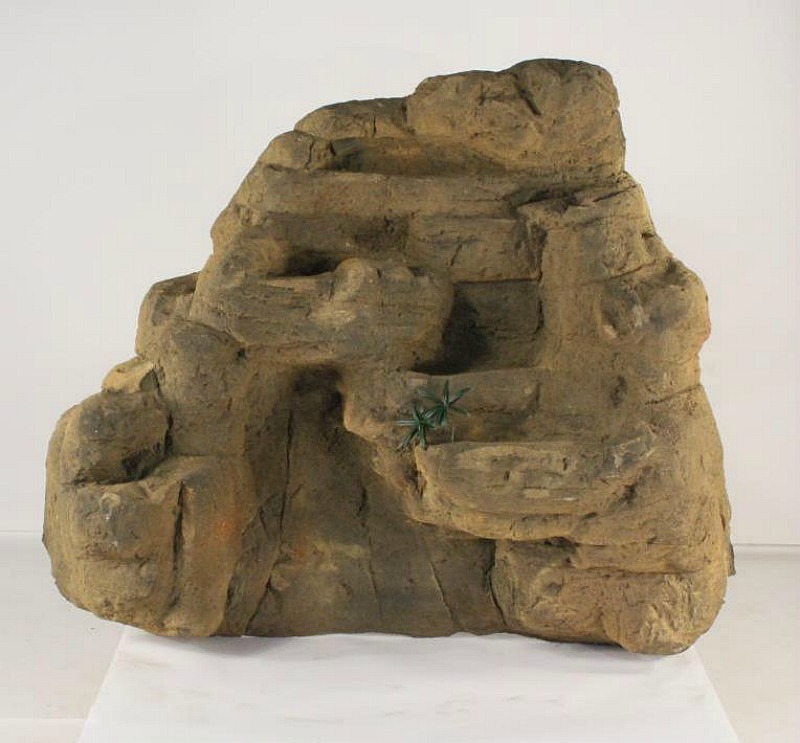 With our beautiful rock waterfalls we can make your waterfall dreams finally turn into reality for your very own decorative water garden oasis. Nothings more satisfying for the home's landscape than for a waterfall feature of meditative & peaceful sounds of a real waterfalls. Now let the creative possibilities flow just like a peaceful relaxing stream of water.